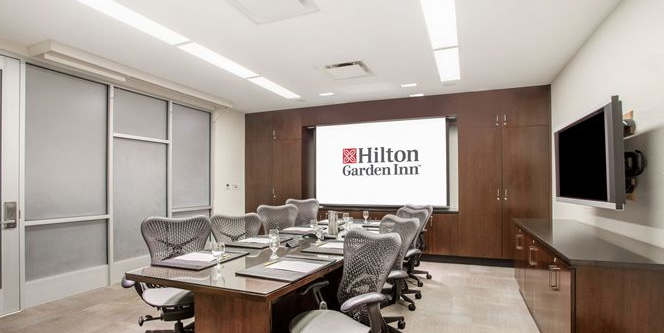 Hilton Garden Inn New York/West 35th Street has one modern meeting room on-site, the Empire Boardroom. 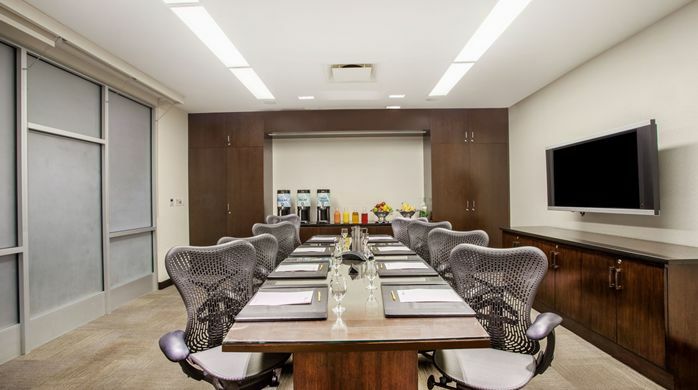 This pre-set boardroom will accommodate intimate meetings of up to 14 people. 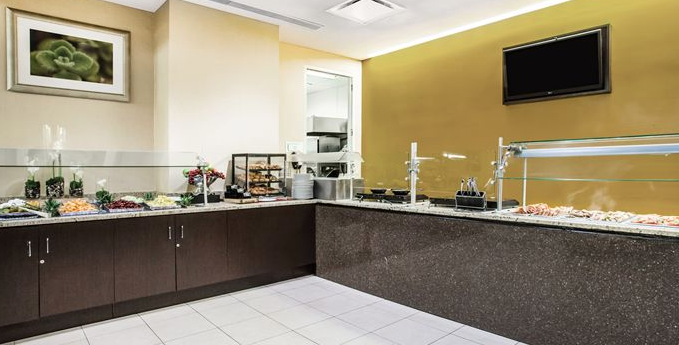 In addition, The Garden Grille is located in the hotel lobby and available for receptions and private events. Both rooms are equipped with state-of-the-art technology and WiFi; catering and A/V services are also available. 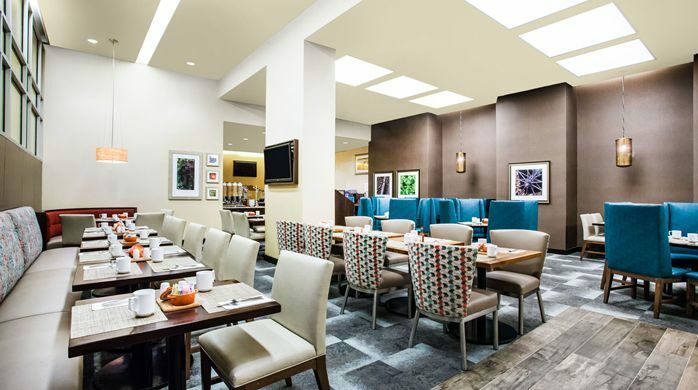 Our hotel is near Penn Station, is only 12 blocks to the Jacob Javits Convention Center, and is convenient to all three area airports, Port Authority Bus Terminal and Grand Central Terminal.